Probably one of the priciest pieces of equipment and hardest to do by yourself are boots. Therefore I tried to create my own piece, but not completely from scratch. For this I used an old pair of worn out Allstar shoes. They heave more elvish look (for my elven character) and are made of faux leather. Here is a quick description of how I managed to do that. 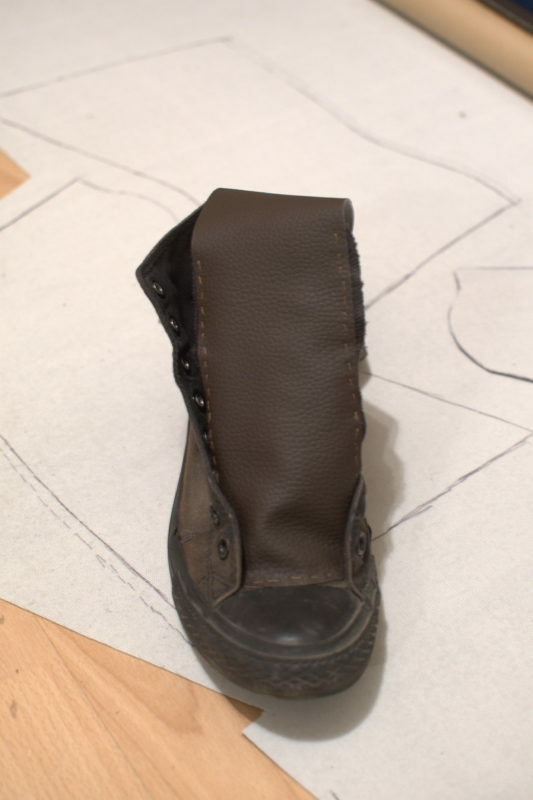 Design of the shoe cover drawn on the back side of the faux leather. 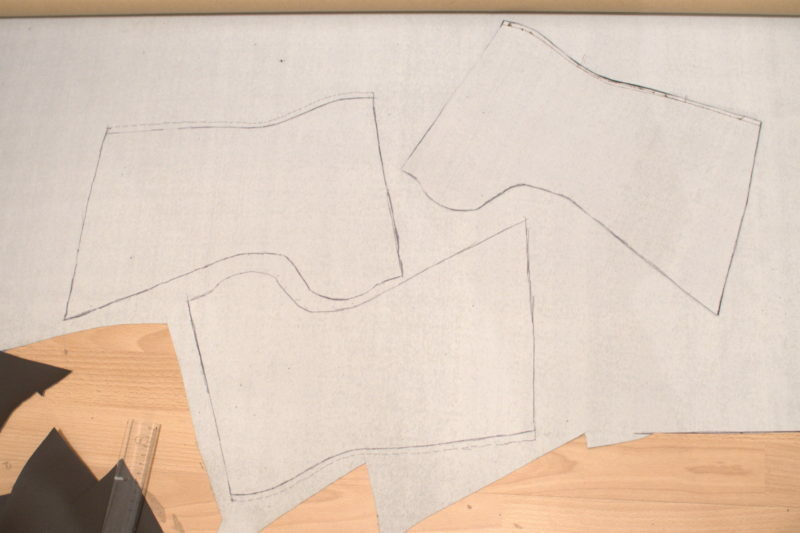 The first thing was to design and cut the pieces out of fabric. I used three simple pieces. One narrow strip for the tongue on two for the sides that are show in the image above. The shape are only approximate and were modified during the process. The first thing that I did was to sew a new longer tongue on top of the original one. 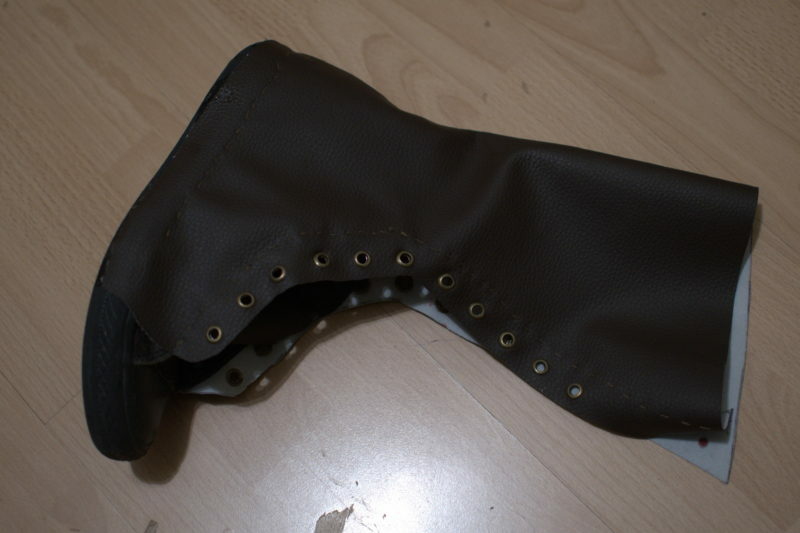 The side pieces were sewn together along the shorter back side and then attacked to the old shoe. 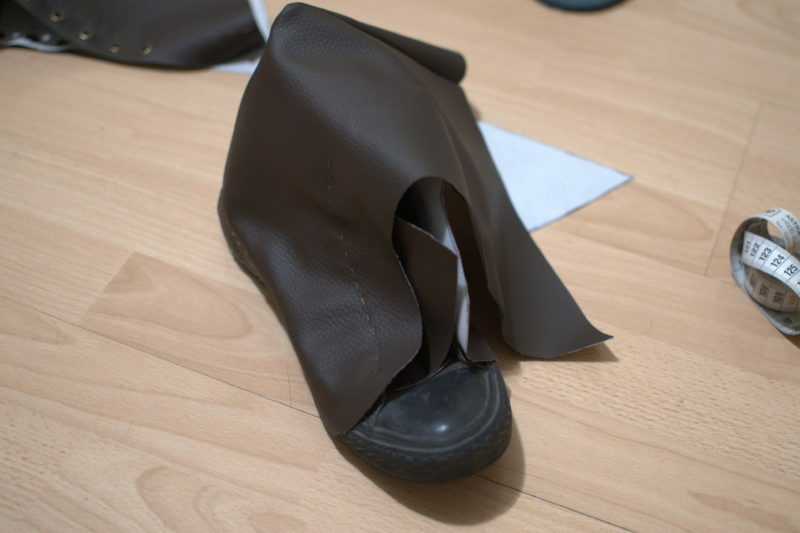 I managed to do that using combination of sewing (to add some detail) and gluing to the sole. New shoes are much more resistant to water that old because of used material and gluing. 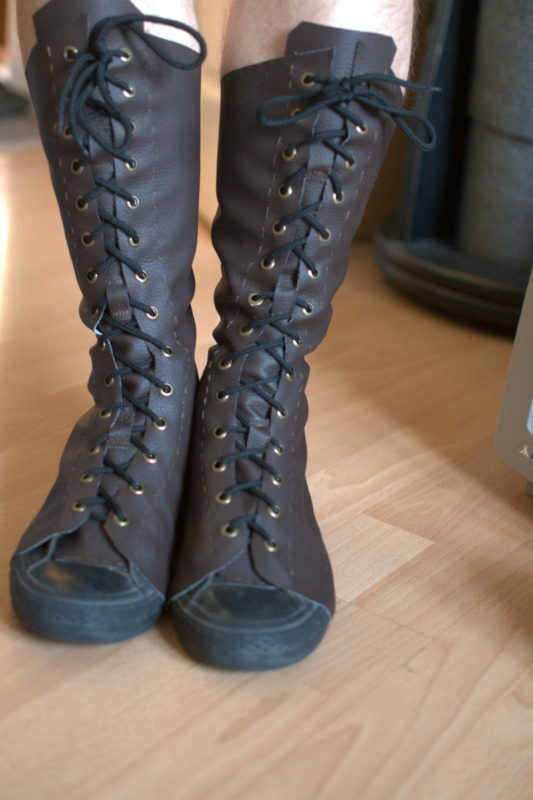 The eyelets for the laces are inserted alongside the whole length of the length. Eyelets for the shoe laces added. And this is the final form of the shoe. In this picture the cover over the front black toe is still missing and has to be glued on. 16 – Full Moon. A penumbral lunar eclipse occurs, peak around ~18:55 UT. 29 – Mercury reaches 17.9 degrees western elongation.